The most overlooked dental service is teeth cleaning and regular dental checkups, which most insurance covers once or twice a year. Serious dental problems start with missing regular dental checkups. To keep your smile and oral health at its best, contact our office and ask about our complimentary exam and checkup. 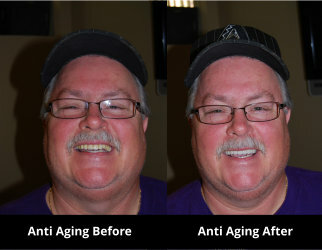 At Dent-ALL by Dr. Z, we treat everyone like a celebrity and work tirelessly to ensure you’ll have a movie star smile. Avoid gun disease and discolored teeth by scheduling periodic exams and cleanings. It’s the easiest and best way to prevent oral cavities and keep your mouth and teeth as healthy as they can be. If you dental needs span beyond cleaning and checkups, our team of skilled dental professionals will gladly assist with enhancing your smile. We provide porcelain crowns, neuromuscular dentistry, dental implants, anti-aging dentistry, cosmetic dentistry, full mouth restoration, and a complete array of specialized dental services to transform your smile. 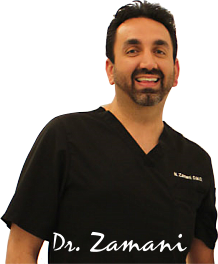 For over 20 years, Dr. Zamani has created radiant smiles to restore confidence and beauty to his patients. Call 818.788.7711 to schedule an appointment. My Favorite Dental/Doctor’s office in LA! Everyone is so sweet and knowledgeable. They honestly care and take the time to build a relationship with their patients. Treated like family every time I walk in (which is often). Always going above and beyond. Shout out to the entire staff.